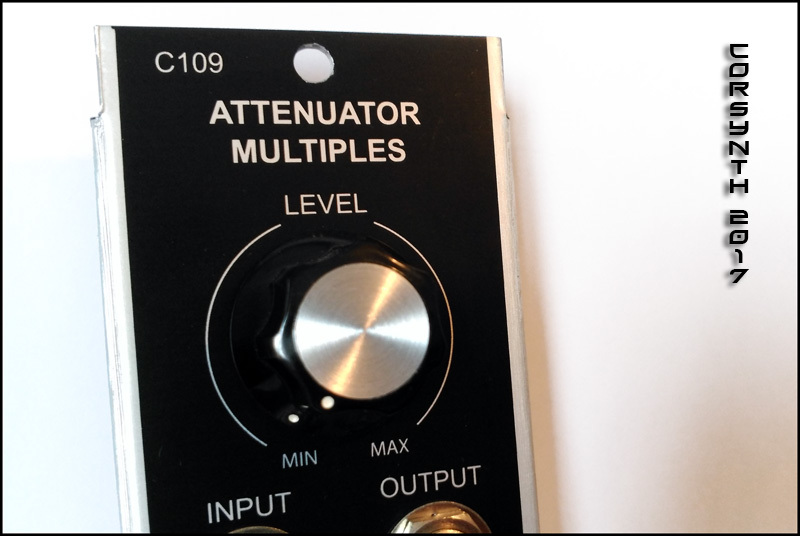 In the C109 the attenuator's output is internally connected to the multiples number 1. 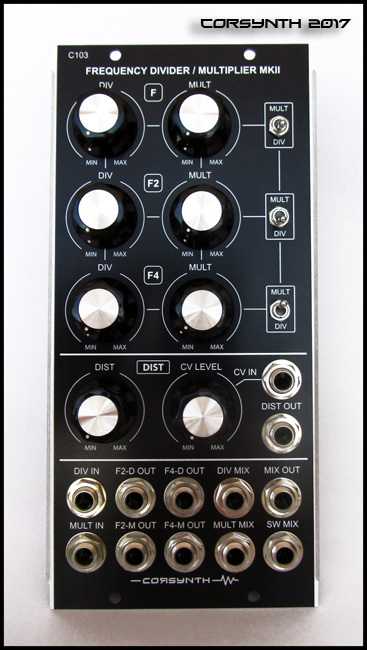 This connection is really useful because it allows to send the same amount of the input signal to several destinations ( for example you can send the same amount of LFO to three VCOs ). 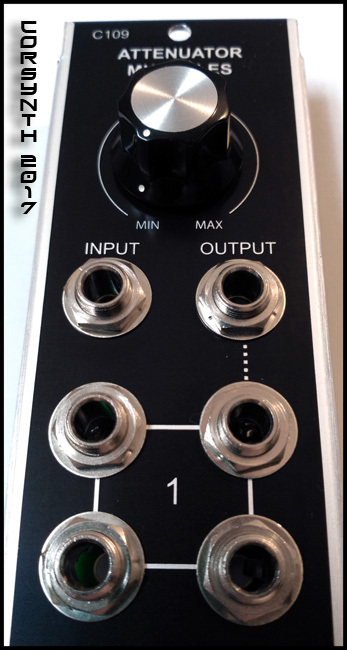 Inserting a plug in the jack marked with a dot line in the multiples number one, breaks the connection between the multiples and the attenuator and the will work independently. 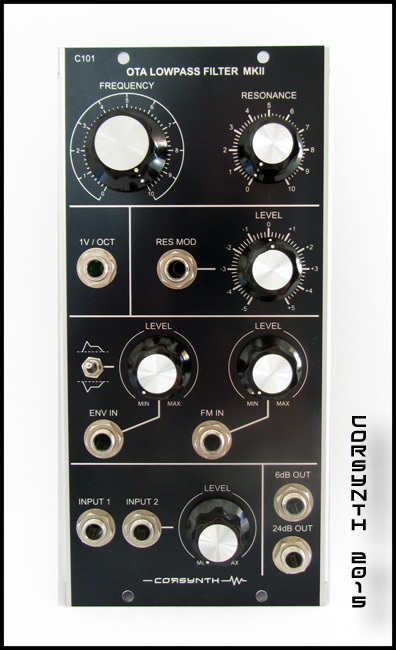 This module is passive so it not draws current from your system.